​​​ ​DALLAS – Hilltop Holdings Inc. purchased a new 119,000-sf office building at 6565 Hillcrest Ave. in University Park in partnership with its largest shareholder. 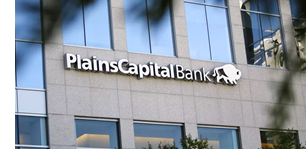 Named Hilltop Plaza, the six-story, Class A development will serve as headquarters for both Hilltop and its largest subsidiary, PlainsCapital Bank. The two​​​ will lease 68,000 sf on the top four floors of Hilltop Plaza and will also open an approximately 4,000-sf PlainsCapital Bank branch on the building’s first floor. Hilltop will occupy just over half of the building’s rentable space and move in during fourth quarter 2019. Construction on the $60 million project is expected to be completed in the second half of 2019.